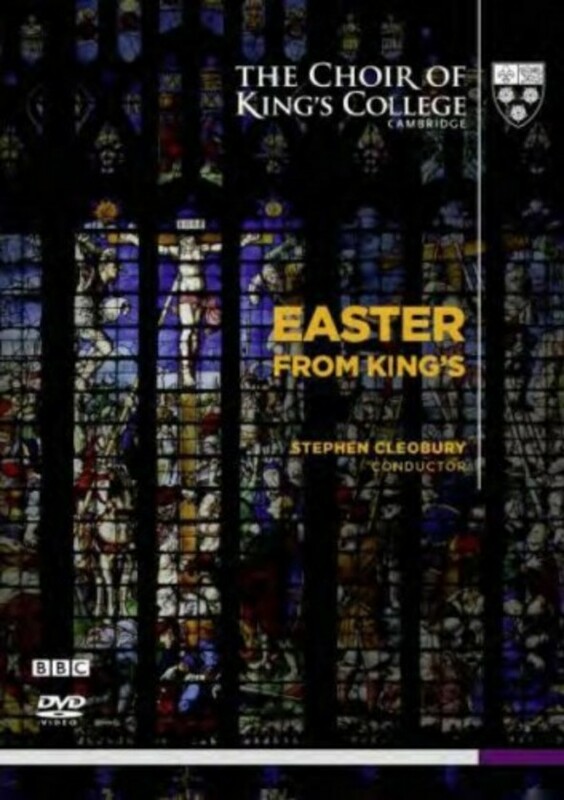 'Easter from King’s' is the first DVD release of the regular BBC broadcast which forms a cornerstone of the BBC’s Easter programming. This service was first broadcast at Easter 2014 from the College’s awe-inspiring Chapel. Featuring seasonal hymns and readings alongside choral favourites, including Allegri’s 'Miserere', the Lacrimosa from Mozart’s Requiem, the Hallelujah Chorus from Handel’s 'Messiah' and Cesar Frank’s 'Panis Angelicus', this collection presents a contemplation of Christ’s death and resurrection. The DVD joins the label’s other critically-acclaimed recordings, including their first celebrated DVD release 'Carols from King’s'. Included is a booklet with notes in English and a reproduction of the original service booklet with hymn texts.